Choosing the best live mobile app developer can be a tough call, especially at a time when there are lots of app development agencies out there. The best way to go about this process is to consider some key factors, that have a direct impact on the process. So, here are some essential tips that will help you choose the best app development agency. The first step to make when choosing an app developer is to have clear specifications. This implies that the features and functions of the app should be made crystal clear, right from the start. To a large extent, the nature of requirements depends on the industry you’re working in and the business model you have adopted. There are many ways to go about this process. In case you don’t have a clear idea of what you need in an app, you might get some ideas from existing apps, used by the already established businesses in the industry. Yes, some aspects might be different, but the core idea of the app be the same. As much as you might have an idea of what the mobile app should look like, you also need to think about how different and convenient the app will be. If you need something more practical and unique, go for an app development agency that has a reputation of offering innovative solutions. Hiring an innovative app development agency sets your business for greater success. Creative developers have what it takes to create an app with forward-looking futures. Such agencies have what it takes to improve your business standards. The nature of experience offered by an app development agency is very critical. 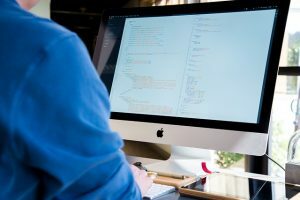 A developer’s experience should give you a clear picture of what they can offer, as well as their standing in the industry. It is not just about the quantity but the quality. Developing a quality app is no easy job. It requires core app development skills, experience, and creativity. So, if you are looking for a developer that can give you a functional and user-friendly app, expertise in app development is vital. Distinguished past experiences in app development is always an assurance that the developer has what it takes, to get the job done. As much as you might be looking at the technical expertise of the agency- though not a technical consideration- the quality of customer service matters a lot. Hiring a company with poor customer service can be a worst nightmare, right from the app development phase to implementation. A good company should always stand by your side, whenever you need assistance, on any technical issue. The cost of app development is often a major concern for many businesses, since here is always a fight between cost and quality. As an entrepreneur, the cost of app development means a lot to your business, but the competitive edge offered by the app, of course not to mention its ease of use, matters a lot more even. Hence, opting for an app development agency that provides cost-effective services can be a good move, but never sacrifice quality for cost. In a nutshell, don’t be in a hurry when choosing a live mobile app development agency. Considering the tips shared above, before making a choice, will not only limit your options but also improve your chances of getting the best developer.